Nara has a relatively simple and quaint life in a small Virginian mountain city. That is, except for the dreams outlining the next days events pertaining to her in great detail. Nara considers this a great benefit to her life, never having to study for tests and always knowing where the soccer ball will be kicked while she plays goalie. After she interferes in real life by changing the outcome of that day, her existence will never be the same. Her dreams are gone.That same day, Ethan walked into her life. The new kid at school with a mysterious past, he is unlike anyone Nara has met before. He seems to carry much with him and seems wise, according to her new-age aunt. He helps her understand why she does not dream anymore. Between the two of them, a blossoming relationship forms.Along with friendship troubles with her best friend Lainey, and home problems with her absentee dad, Nara, with help from Ethan, must find out why her classmates have been increasingly getting injured. Nara learns how to play Fate.I really liked Nara as a female protagonist. She is very strong-willed to help her friends, even to the point of stubbornness. Her relationship with her parents is definitely an integral part of who she is today. Ethan is absolutely swoon-worthy with his dark hair and his insistence in keeping Nara safe. The relationship gradually builds, and there is no insta-love between the two, but definitely an insta-connection. The author plays the romance perfectly. The resolution of what exactly happened with her father will be key to unlocking some mysteries in the next book. The author is a fantastic writer; Ethan’s vivid nightmare scenes have great details. 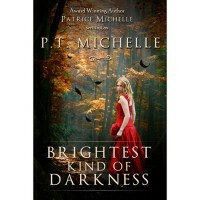 This is a new spin on paranormal romance, one that I’ve never seen before. 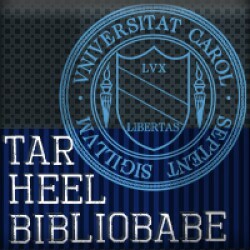 I can’t wait for the next book!5/5 Tar Heels!See my review at www.tarheelbibliobabe.blogspot.com!